The electric grid in DragCore is how you attack enemies and kill them with intense electrical fury. 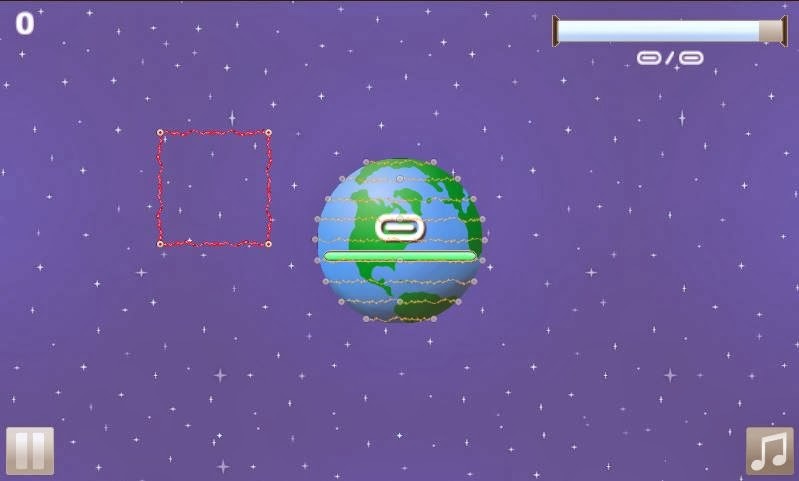 You drag your finger across the screen to create a box. Enemies that touch it die instantly, or at least most of them. Some enemies are a bit trickier than that. Here is a look at how the attack grids work. Grids are your primary way of attacking. 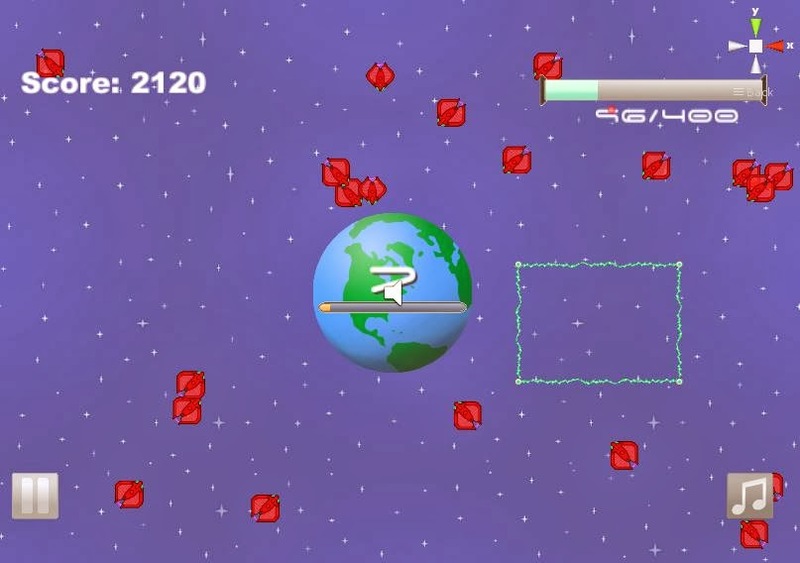 As you kill lots of enemies the maximum size of the grid increases and it changes color. The grid is red when it's at it's smallest. It turns blue, then green, then yellow as your killing combo continues. The combo is based on killing a number of enemies within a set time that depends on the combo level you have (1-5). The grid can be used along with another finger to tap things. 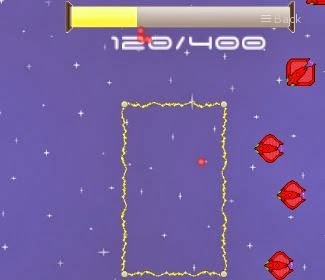 Tapping on enemies places a crosshair on them which causes them to explode. 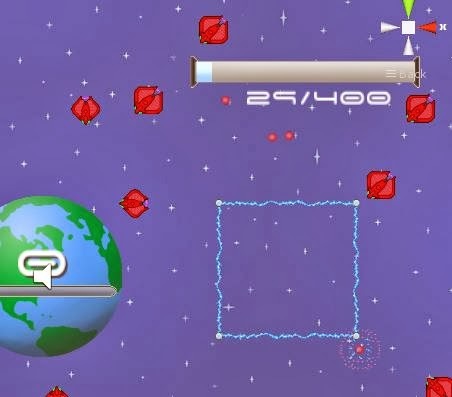 This way, you can have one finger warding off enemies with a grid on one side of the screen and another finger tapping on enemies coming from the opposite side. It's been a pain getting the grids to work but I managed to figure out how to use Clipped Sprites in 2D Toolkit. A bit different from the Cocos2d, Allegro, and SDL ways of doing things. I've been polishing up the enemy explosions a bit over the past 2 days. When you kill them, an electric current matching the grid animates as the enemy plays it's death animation and leaves behind a dot matching the color of the enemy. The dot flies to the progress bar on the top right and gives you a point. When that bar gets full you win the game. There is still lots more to be done and the way grids work could change slightly in the coming days. Today I'm rethinking certain enemy behaviors so there's proof that things could change (for the better) at the drop of a hat. Expect more details and more screenshots next week as my game finally starts to look nearly finished and I have many more things polished up. I'll even try making a few GIFs of gameplay to post.